Suzanne R. Gellens has served as the executive director of the Florida Association for the Education of Young Children for more than sixteen years. She also leads educational workshops for teachers throughout the state of Florida and volunteers her time playing the guitar, singing with children, and telling stories at preschool programs. 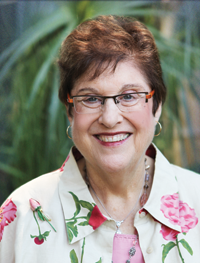 With a master's degree in special education, Suzanne taught both hearing impaired and typically developing young children for over forty years, directed a NAEYC-accredited child care program for seventeen years, and is past president of the Sarasota Early Childhood Association, the Early Childhood Association of Florida, and the Southern Early Childhood Association. Suzanne is the author of many articles that have been published in a variety of early childhood journals. She lives in Tampa, Florida, near her two daughters and three grandchildren. Young children's brains develop connections at a rapid rate, and the experiences and environment you provide play major roles in how learning takes place. 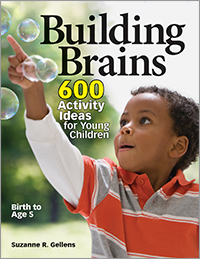 Blending what is known about early brain development with ideas that support careful planning, thoughtful curriculum, and meaningful activities, this resource is filled with valuable information to help you help children reach their full potential.